Getting your hearing aids repaired can be both expensive and inconvenient; however, sometimes, it is simply unavoidable. Hearing aids are delicate and can easily become damaged if they are dropped, stepped on, maintained poorly or exposed to water. 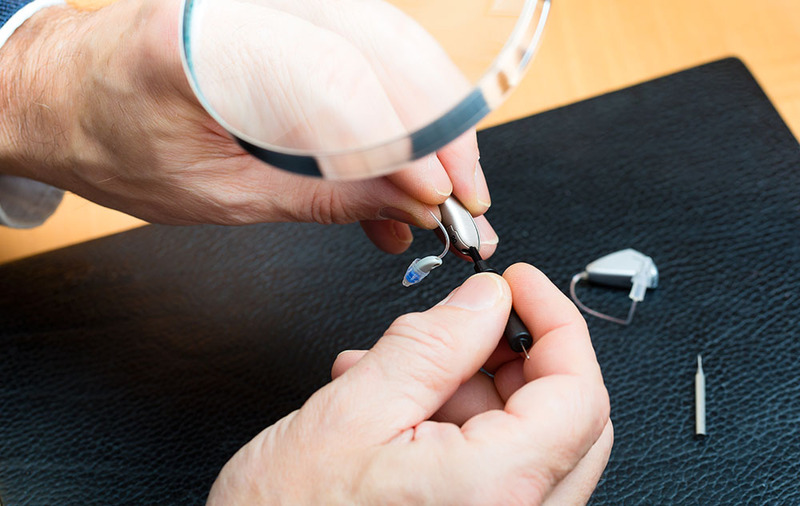 Here are four signs your hearing aids may require professional repair. If this is happening to you, you should first check to make sure that the volume is not turned all the way down on your hearing aids. If you check this and it is not the root of the problem, then you could be dealing with something more difficult. Your audiologist will be able to examine your device and make minimal repairs to get it operating smoothly again. If you are hearing a lot of static coming out of your hearing aids, then this is a major sign that you might need a repair. Excess static could possibly mean that moisture has built up and accumulated within your device. An audiologist will be able to fix this and provide tips for you to get the most out of your hearing aids. Clear physical damage can occur if you repeatedly drop your hearing aids or if you bang them against something accidentally. Physical damage can include bent parts, cracks, scratches and other similar things. Oftentimes, parts like tubes can be easily replaced. However, the repairs can be more complicated if a simple part replacement will not do. If your audiologist is unable to replace or repair the parts needed to get your hearing aid operating correctly again, they will send your devices to the hearing aid manufacturer. In some cases, you may be able to hear some sound coming out of your hearing aids, but it may be very low. This could be true even if you turn the volume all the way up on your volume wheel. There could be a microphone issue if your volume refuses to go to high enough levels. Wax buildups can occasionally cause this problem, so your audiologist will likely perform cleaning and maintenance on your device. If a thorough cleaning doesn’t improve the sound quality, they will likely look at the internal components to help determine the problem. Regardless what hearing aid problem is troubling you, schedule an appointment with an audiologist in your area to determine what your options are. We offer the the very best in hearing care as well as hearing aid products and accessories. Download our consumer's guide to hearing aids and make informed decisions on your next device. We are proud to serve the residents of Warwick, Rhode Island and surrounding areas.